As a grassroots organization, NAMI Westside Los Angeles relies on membership funds, donations, community support, and volunteers. Below are ways you can help. Sign up to become a member, or make a donation to support our programs. 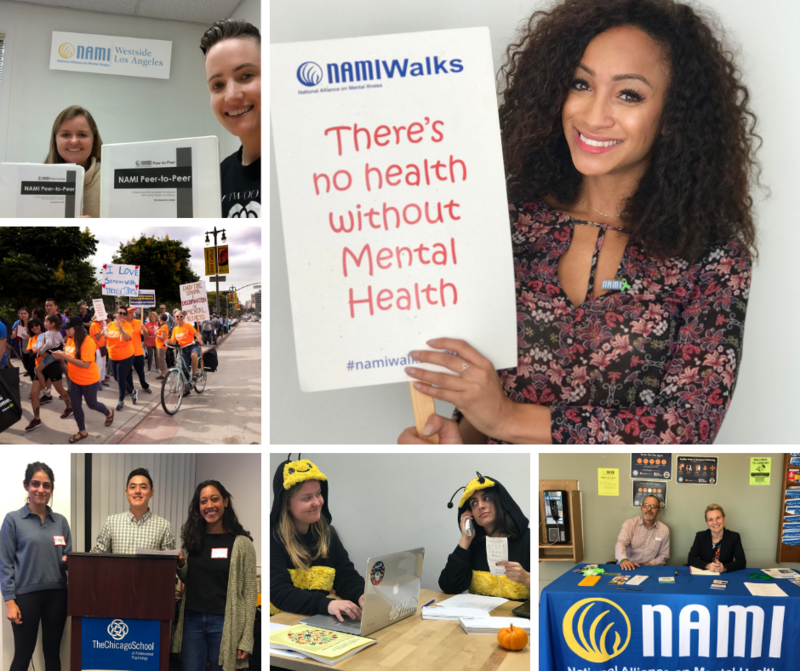 Our annual NAMI Walks fundraiser brings together thousands of Angelenos and raises necessary funds for us to continue our work. Sign up for our email updates to find out about the next walk. We count on volunteers to assist us with our work, at all levels within the organization. We’re always looking for interns in our office. Contact us to apply. Mental health matters to everyone. Individuals, companies, organizations and others can all take the pledge to learn more about mental illness, to see a person for who they are and take action on mental health issues. Take the pledge and help us raise awareness. Have a personal story you want to share? Contact us! Are you a nursing or medical student learning about mental illness? Contact us if you are interested in attending a support group to learn more. Email us at operations [at] namila [dot] org or call 310-889-7200. Sign up for our email newsletter for updates. Follow and like us on Facebook, Twitter, and Instagram.